The Garden Rocks concert series lineup for the 2017 Epcot International Flower & Garden Festival has been announced. Show times are at 5:30, 6:45, and 8PM each night and are included with regular Epcot admission. The Epcot International Flower and Garden Festival is taking place March 1st through May 30th, 2017. That’s the worst line up of musical acts yet……..and I didn’t think it could any worse than last year’s Food and Wine Festival. You would think that those tightwads at Disney would open their pocket books for good acts like Bruce Springsteen, Dave Mathews, or U2………instead we’re stuck with this crap. Yea, U2 playing for free at WDW when they can sell out stadiums. Why so nasty? Considering what my partner and I spend on our annual passes, it is reasonable to expect Disney to reach into their pockets and pay for first rate musical acts such as Elton John, instead of the leftovers from the 70’s that they are currently forcing on us. Nice lineup of talent, love it. Can’t wait to attend several of them. Disappointed in who will be there when we are attending. We were going to add a day to see the concert on Monday when we get there, but I don’t even know who Night Ranger is. Also it doesn’t look like HGTV is the sponsor either since the shows will be hosted by Animal Kingdom horticulturists. This music line-up is like a whites-only club. Couldn’t Disney book at least one band that includes people of color? How am I supposed to explain to my nieces and nephews why no Latin performers were invited? This country is more racist and intolerant every day. If you take issue with the music selection, then please refrain from visiting the park during the event. You would be doing us all a favor by not attending, my partner and I would rather not associate with an individual with your bad attitude. It would just ruin the experience of us having fun and enjoying the music. Excuse me? Please take you and your attitude elsewhere. You are no longer welcome on this site. 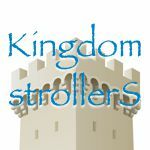 It is people like you that ruin the experience of the Disney parks for my partner and I, along with bratty kids that parents make no attempt to control. No one cares about you & your partners preferences, obviously you prefer the obscene …. && children are wonderful beings, perhaps you should go back to being a child and rethink your sexual preferences. Oh, rubbish! You have no power here. Now begone, before somebody drops a house on you too! Guess you have never heard of Expose then? Pointer Sisters, Exposé, The Spinners, plus Jon Secada is Cuban. I’d love to see Don Henley, Joe Walsh, and/or Timothy B Schmit…. former Eagles all!! They are doing solo stuff. What happen to the days when they had Boys 2 Men and The Village People? Some of these bands had one or two hits, but not much there. Two 3xceptions would be the Pointer Sisters and Starship. And what happened to Mickey Dolan, he always plays at the festivals? Wow! This article has really become a hotbed of discussion. I guess I just miss the days of The Flower Power Concerts since I am from that era. In reality these bands are no longer together or members of the bands are no longer with us. Happily these concerts are free with Epcot admission and not an added cost as so many WDW activities seem to be nowadays. I will go and enjoy as I’ve done for past years, this time with my grown kids and teenage grandkids. Chill out and enjoy!